“Enjoy life, do not dwell too much on negativity.” These are the wise-words of Master Simon Rhee, a true Martial Artist who has achieved a 7th Degree World Tae Kwon Do Master. Master Rhee is also a 4th Degree Black Belt in Hap Ki Do, he is the past President of The International Stunt Association, he’s a two-time Taurus Award recipient, teaches Martial Arts at his own dojo…and still hungers to learn more! 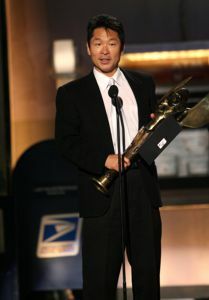 Born in San Jose, California, young Rhee and his family spent the first years of his life living in Korea. 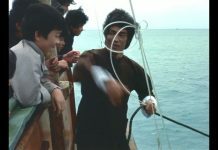 The saga of Minhi Y. Rhee, know to us as Simon, Master, Sensei, Stuntman, starts when he was ten-years old and contacted the Meningitis virus. Simon’s parents wisely enrolled him into a Tae Kwon Do class to help him regain his strength. The elder Rhees, one will recognize, were ahead of their time, in Western terms, in their knowledge of what martial arts training can do for a person; healing and promoting ‘mind, body and spirit.’ It was a philosophy that they passed onto their children, Simon and his younger brother Phillip. This choice would prove life changing – not only for Minhi, but all those fortunate enough to have spent time with him over the years. As Simon’s interest and desire to explore martial arts grew, his family decided to travel from Korea to Los Angeles to visit a Master Sensei so they and their children could learn more of what Tae Kwon Do had to offer. And as the universe would deem it, this sensei just so happened to be doing a movie and offered the boys parts in the film. Simon jumped at the chance. Between that first movie-set experience and his passion for watching his movie hero on the big screen – the late Bruce Lee, Simon knew that his path would lead to Hollywood. And so it began. The ever-rich and growing saga of Simon Rhee: MA Master-Stuntman-Actor-Stunt Coordinator. 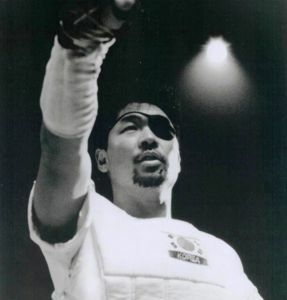 Young Rhee’s hunger to learn as well as his innate ability and understanding of the martial arts led him him to build an extensive fighting resume including the arts of Wing Chun, Judo, Boxing and Pilipino Knife Fighting. Throughout his long and illustrious career, Simon has graced the cover of many, many martial arts magazines and is considered throughout the martial arts world as a “teacher’s teacher.” Rhee is in high-demand to instruct at martial arts seminars on Tae Kwon Do as well as the use of weapons and the art of self-defense. 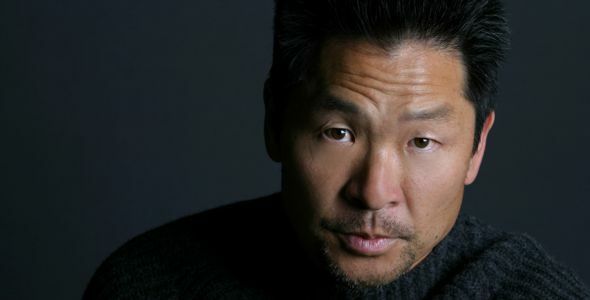 Rhee’s style and grace compiled with his ability to teach has made him much sought after in Hollywood as a stunt coordinator, fight choreographer and stunt player. You’ll recognize Simon’s work as a stuntman in such movies as The Dark Knight Rises, Gangster Squad, Hangover Part III, Star Trek: Into Darkness, and The Lone Ranger. You’ve also seen Simon getting punted around on TV shows like Criminal Minds, Chuck, Heroes, and of course Walker; Texas Ranger, where he got to work with his old friend and sparring partner, Chuck Norris. 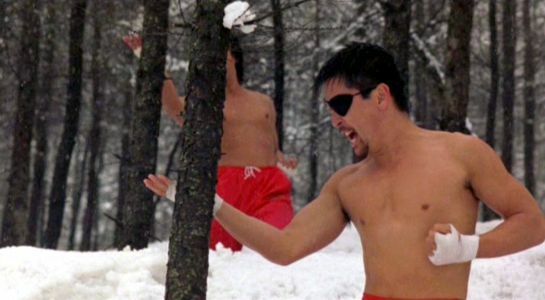 As far as Norris being “nice” and “centered,” one just has to look at the upbringing he had in the martial arts. 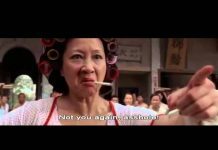 Chuck Norris and Simon Rhee are others who also seem to live in the light of the full meaning of the martial arts. Simon Rhee has taught over 10,000 students at his dojo in Woodland Hills, CA. where he trains children, adults, television and movie stars, stuntmen and stuntwomen. It’s a place where he shares his knowledge with those who are willing to learn. Simon’s expertise can be seen in specific fight scenes. 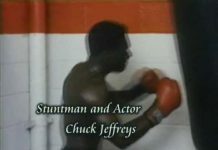 When stunt coordinating an episode of “Chuck,” Simon had to set-up, block-out and coordinate (in this case, basically teach) a Pilipino knife fight to two actresses and their stunt doubles. 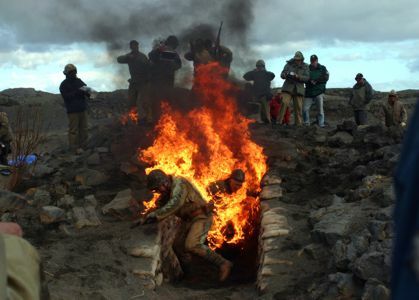 A tough job that entails getting your performers to learn the fight, pull it off as though it was real, and making the fight work for the cameras and the angles that the director needed. As the stunt coordinator on an episode of the hit TV show Heroes, Simon had to choreograph and perform a samurai sword fight for one episode. 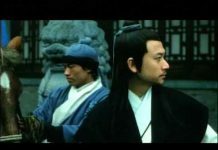 “Safety in realism” isn’t an easy achievement, but Master Simon Rhee helped his actors and stunt performers make it look effortless, as called for in the script. 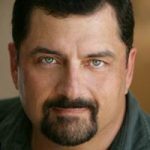 Simon has given audiences countless thrills as a stunt performer, stunt coordinator and innovative fight choreographer. Even with his busy schedule as a Master Sensei, stunt coordinator, husband and father, Simon also travels to teach seminars to police departments, the military and other martial arts instructors. Some of the celebrities he has been called on to teach include Marcus Allen, Faye Dunaway, Heather Locklear, Lorenzo Lamas, A.C. Cowlings, Beau Bridges, Jay Leno, and Eric Roberts. Simon’s career as a stunt performer is also memorable. When available, Simon is the regular stunt double for actors George Takei of Star Trek fame, Randall Park from Supah Ninjas and Veep, and yes…he’s even doubled for Jackie Chan! Simon Rhee has trained long and hard to become the man and the martial artist he is today and he puts that same dedication and openness into continuing to grow as a stuntman and stunt coordinator. 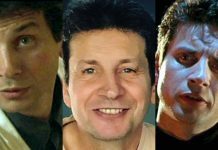 Simon still trains and works with other stunt professionals that include his talented brother Phillip, an actor, director, martial artist (Best of the Best.) He continually works on perfecting his skills at stunt driving, movie fighting, fire-burns and camera knowledge. Simon feels frustration with the lack of movement by Hollywood honchos and the California government to help promote the entertainment industry. It’s an industry that once brought in billions of dollars each year to the state’s economy – an amount that is now being given to other states offering big financial incentives to film in their cities. Rhee knows that show business is anything but easy. Although he remains in high demand as a respected stuntman and fight choreographer, he is asked over and over again to waive his union rights and work out of state, a move that could cost him his union card. It’s a decision that can be difficult for many to come to terms with, but Simon understands what the “business” in ‘show business” is all about. It’s about sticking to your guns, knowing your ability and walking the walk that got you to this point in your career and your life. Soft spoken with a charming smile and a confident ease to his movement, Simon’s dedication to his family and the arts, shows a man who cares deeply about others, a man who lives by the martial arts credo every day with a “family first” mantra, a family that seems to extend to the dojo, the movie set and beyond. Simon’s upbringing, his parents and the sensei’s that he learned from helped to create and develop a very good man and a tremendous talent. Simon preformed stunts in a film titled Extraction with his very good friend James Lew, (yep, that James Lew) and is worked on the movie Underdogs, written and directed by his younger brother, Phillip Rhee. 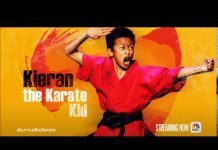 Simon says the movie was lots of fun and has lots and lots of action – he describes it as the BAD NEWS BEARS meets THE KARATE KID. 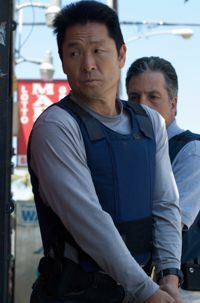 You can find and follow Simon Rhee on-line at: www.simonrhee.net, www.IMDb.com, www.isastunts.com, (International Stunt Association) and Facebook.